Elizabeth Taylor adorned with Diamonds in a Life magazine photo. April’s birthstone is diamond, which gets its name from the ancient Greek adámas meaning: unbreakable. Along with their glamorous sparkle and ability to transmit light, diamonds come in a myriad of colors making them a dazzling birthstone. Most natural diamonds are formed at high temperature under immense pressure miles beneath the Earth’s surface and formed over billions of years, along side its close carbon cousin, Graphite. 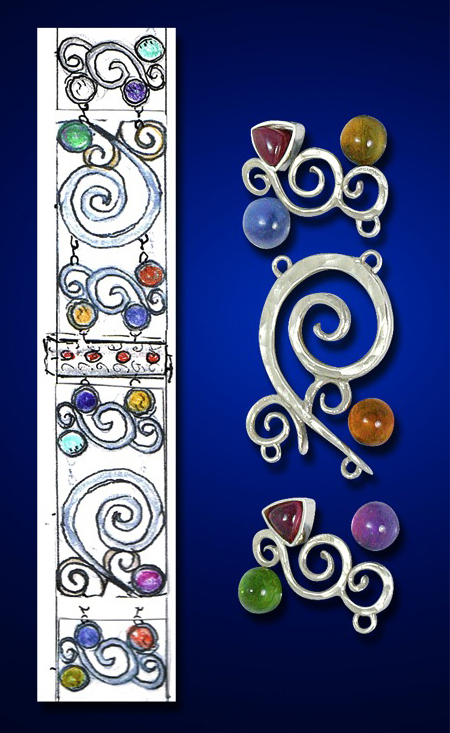 Both are pure crystalline forms of carbon, but . . .which would you rather have set in your jewelry? In fact, the Moh’s Scale of Hardness measures the hardness of various minerals by testing the ability of a harder material to scratch a softer material. These are measured on an exponential scale, for example diamonds on the scale are a 10 and are 4x harder than corundum (the mineral name for ruby and sapphire) which scores a 9. See the Moh’s Scale of Mineral Hardness charts for more information. “Venetian Lace and Chocolate” platinum and diamond ring from Eve’s “Antiquities” series. 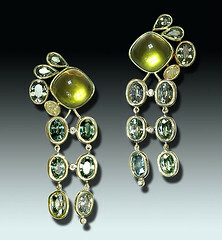 Do you ever consider the scientific properties of your gem when you think of diamonds? Of course not, you probably imagine how nice it will look wrapped around our finger, or how it looks in photos of Liz Taylor. While we consider every birthstone to be lovely and sacred to its wearer, April birthdays have the happy brilliance of diamond’s sparkle to illuminate their birthstone jewelry. 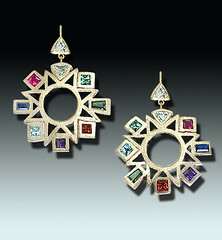 For more personal insights into this wondrous gem, stop in and check out Eve’s collection of unset colored diamonds. Special Bridal Event | Feb 24. Eve J. Alfille Gallery & Studio will be participating in Downtown Evanston’s 1st Annual Wedding Walk scheduled for Sunday February 24 from noon – 3pm. Following the wedding walk, participants will attend a fashion show at 27 Live where a selection of Eve’s beautiful bridal jewelry, including engagement rings, wedding rings, necklaces, and earrings will be featured together with dresses from Avail & Company. The gallery will extend special hours to brides (and grooms) who wish to meet with Eve and discuss one-of-a-kind wedding and engagement rings, bridal party gifts or specialty items for your flower girl. 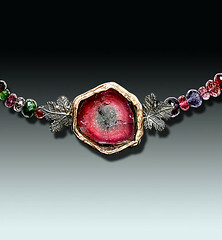 Eve J. Alfillé Gallery & Studio will also be donating the necklace pictured below for the lucky winner or the Wedding Walk raffle. Register Today for your chance to win! 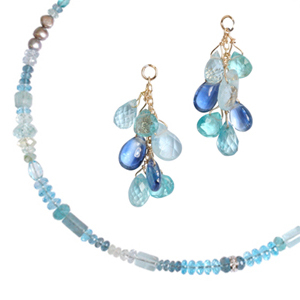 Cascading pearls tumble between natural rock crystal elements in this one-of-a-kind treasure from Evanston artist and custom jewelry designer, Eve J. Alfillé. There is nothing quite like the soft glow of real pearls on the bride for her big day! And, pearls show up especially well in photographs! 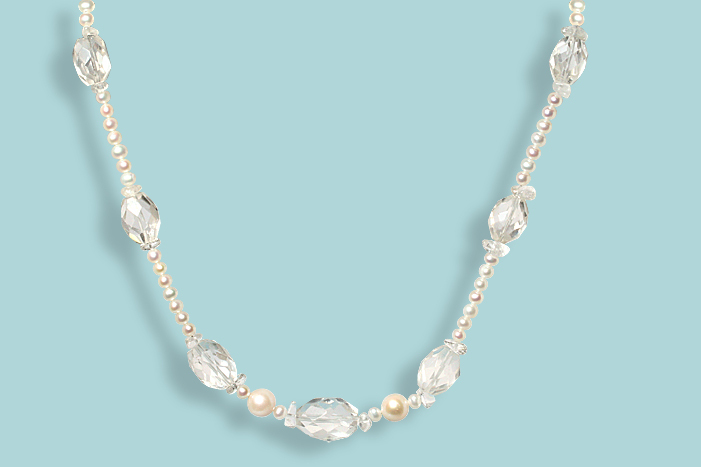 This lovely bridal necklace is titled “Ice Hotel” and is composed of faceted and tumbled rock crystal (quartz), cultured freshwater pearls and sterling silver, valued at $260.00. Come out and Play with us! Please join us Saturday February 9, 2013 from 1 – 5 pm as we continue to celebrate our 25th Anniversary Year with our “Head Over Heels” Party. 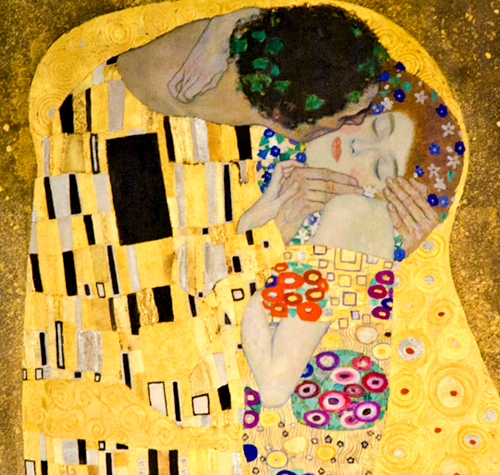 Have you experienced the Magic & Passion of Romantic Gems? Party guests & friends who wear something red or pink to the party will be eligible to enter our free drawing to win a beautiful, one-of-a-kind Valentine’s necklace designed by artist Eve J. Alfillé. Eve will also debut her newest collection of romantic removable drops which can transform your look with color, style and length.